Easter is almost here and we’re wrapping up all of the fun Easter crafts and activities for you to do with the kids this year! Today we have 20 Easter Crafts for Preschoolers. There are so many great ideas here! 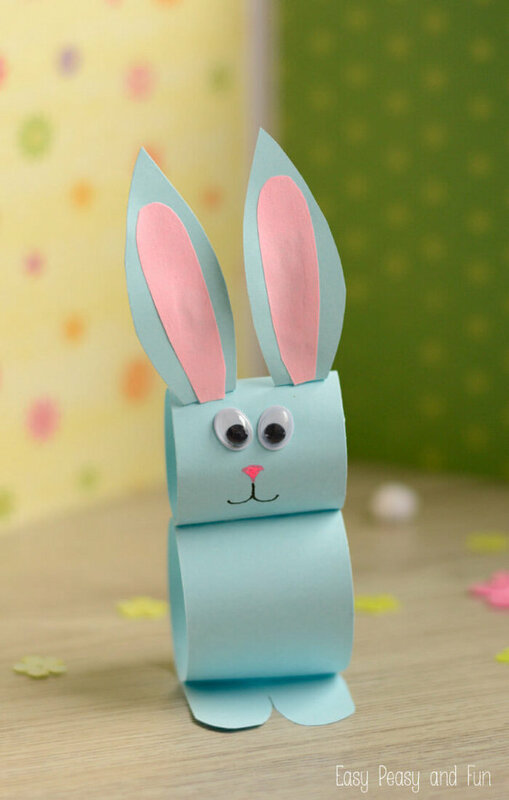 Watch some of our favorite Easter craft videos here for more great Easter craft ideas! 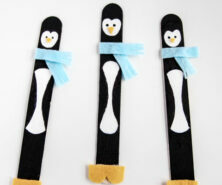 Looking for a fun and easy craft to make with your little ones? 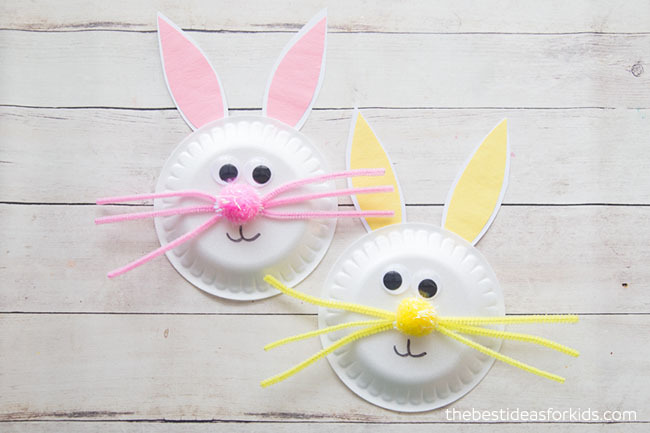 This paper plate Easter bunny craft is adorable and festive! This bunny handprint card would be great fine motor practice for preschoolers! 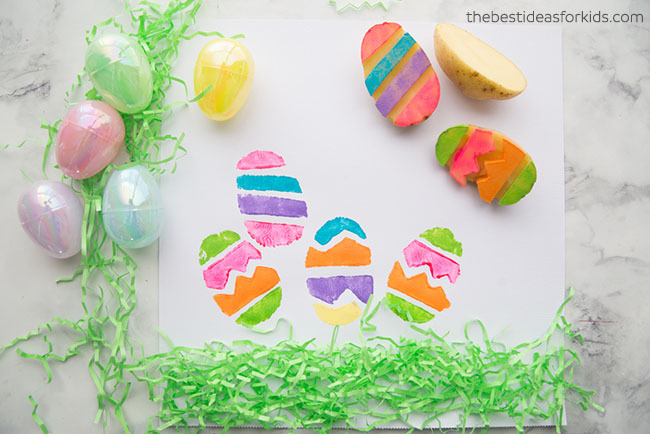 Preschoolers and toddlers will enjoy stamping these Easter egg potato stamps! This is a great Easter activity for preschoolers that you can create and set-up for kids to do on their own. Preschoolers will love stretching this Easter Egg Slime! 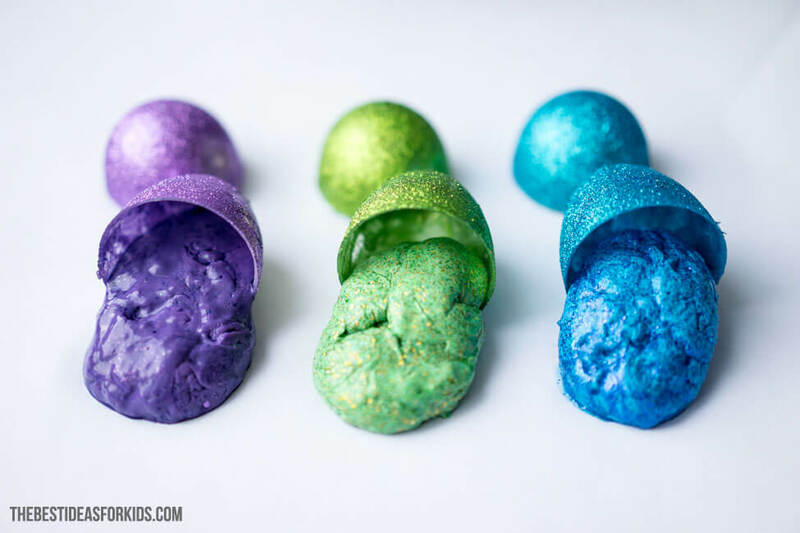 Make a few batches and place the putty in Easter eggs for a fun Easter activity. 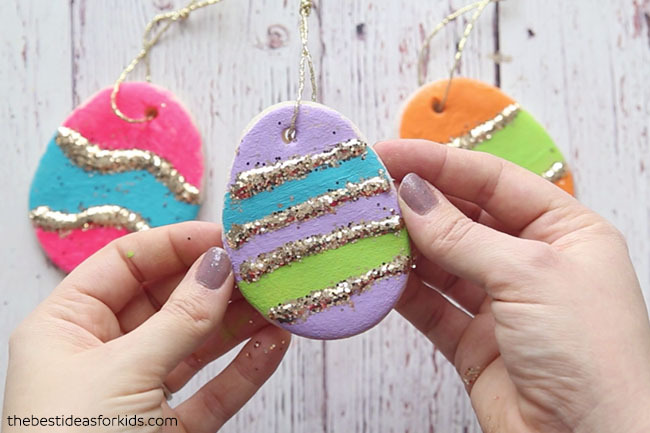 These salt dough Easter eggs would be fun for preschoolers to paint. Simply make a batch and let them paint their own! 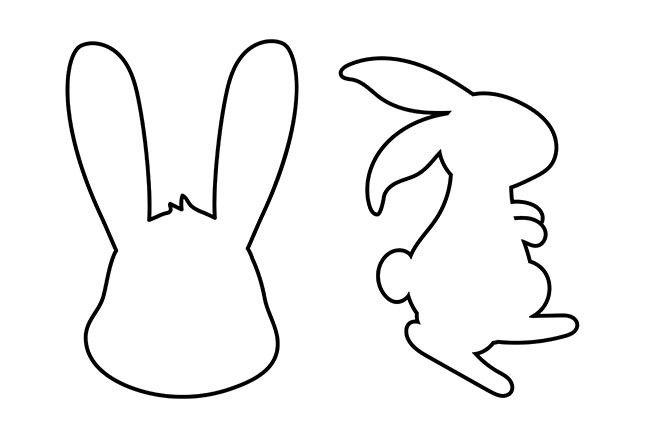 These Easter Bunny Templates are perfect for kids to decorate on their own! They can draw their own Easter Bunny, color, or cut out and trace into a card design. 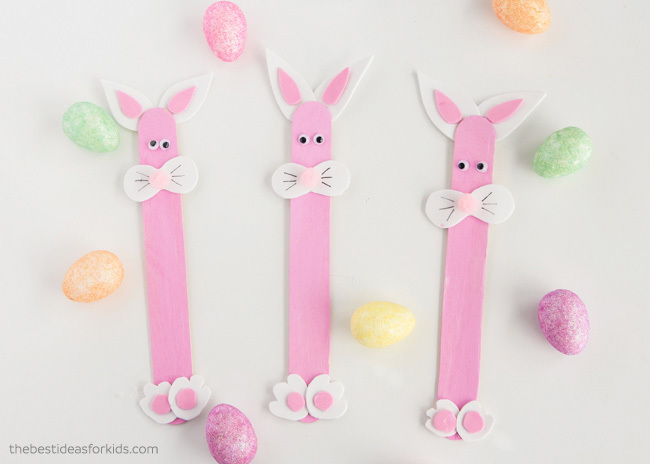 We love how cute these popsicle stick Easter bunnies are! Kids will love to decorate them. You can even make them different colors! Create your own Easter eggs with felt – this is a great “invitation to create” activity where you can set out all of the materials for kids to craft with. 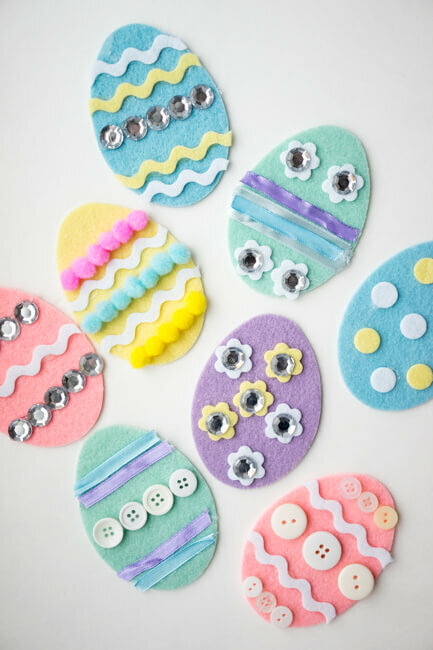 Grab some felt Easter eggs and place out supplies like pom poms, ribbon, buttons and more! See more here: Felt Easter Eggs. 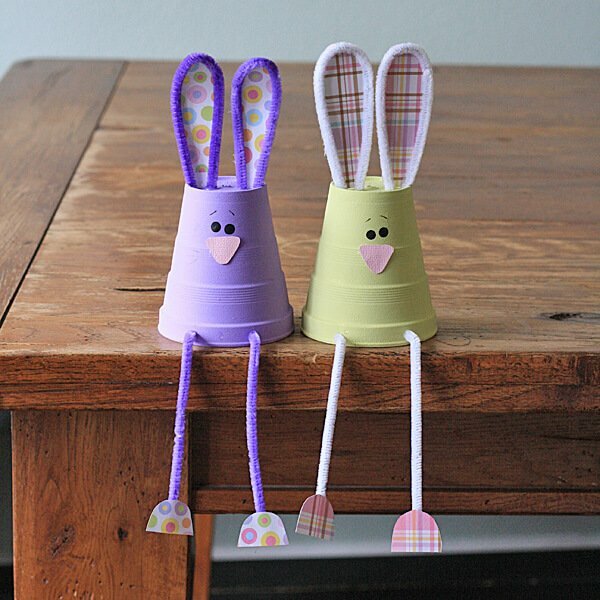 A great recycled project for Easter! 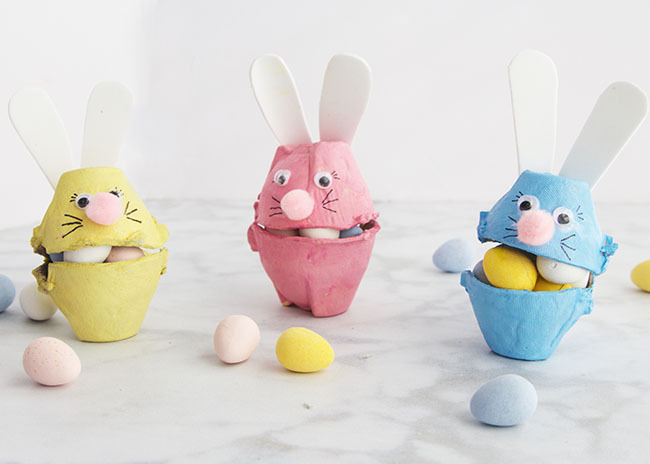 Grab some egg cartons and make these adorable Egg Carton Bunnies. 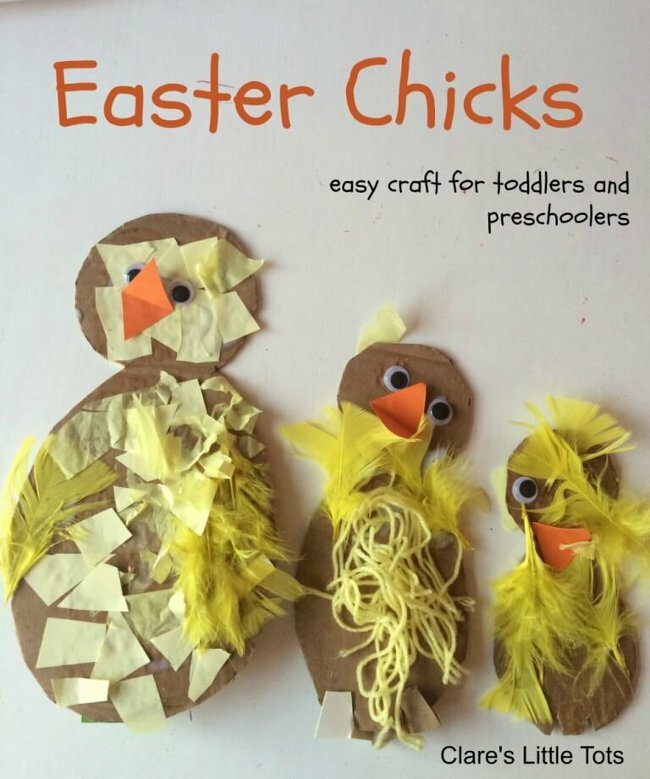 Preschoolers will have fun adding different shapes and various textures to these Easter chicks by Clare’s Little Tots. 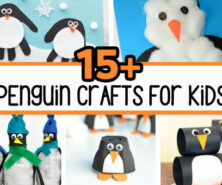 Head over to Creative Family Fun for another fun craft that uses recycled materials! These egg carton baskets will be perfect to hold all of your Easter eggs this year. 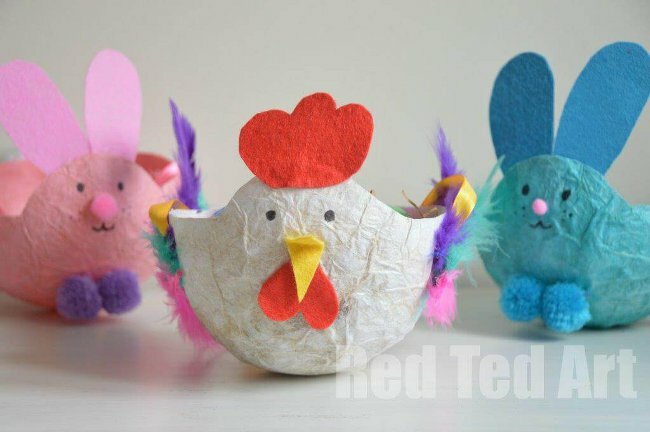 Kids will have a blast helping to make these paper mache baskets by Red Ted Art. Looking for a fun Easter printable? 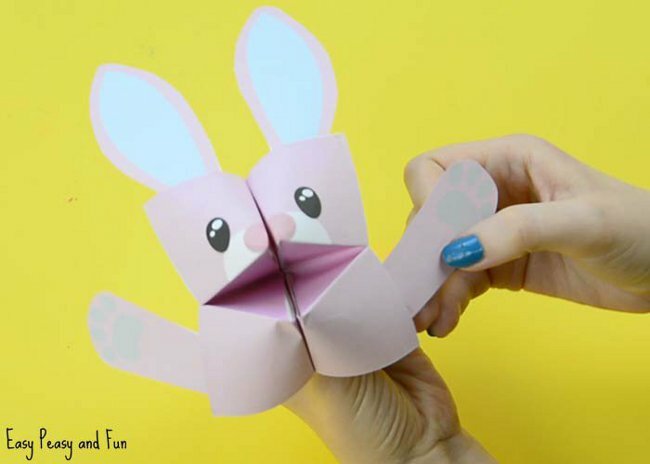 Easy Peasy and Fun has these Easter cootie catchers you can make. 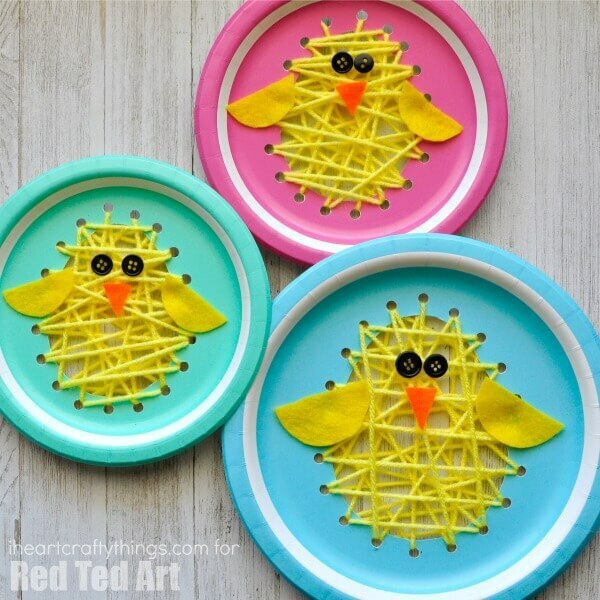 These paper plate Easter chicks are great for fine motor work too! By Red Ted Art. 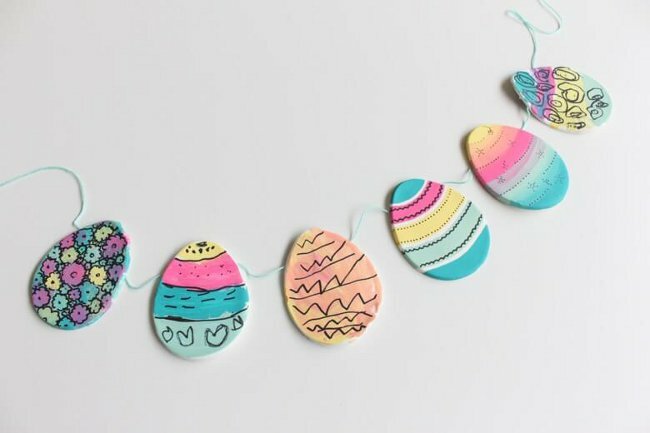 This clay Easter egg garland is beautiful and you can hang it up for Easter decorations. By Mama, Papa, Bubba. 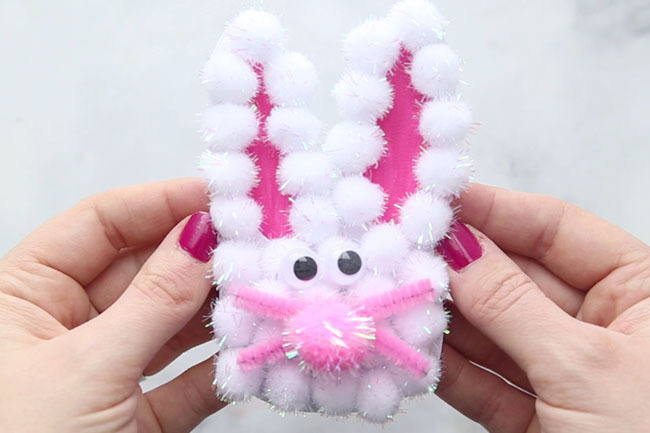 These foam Easter bunnies are so cute! Kids will love to make these bunnies. By Crafts by Amanda. Your preschoolers will be delighted making and playing with these pop up Easter bunnies by Kids Craft Room. 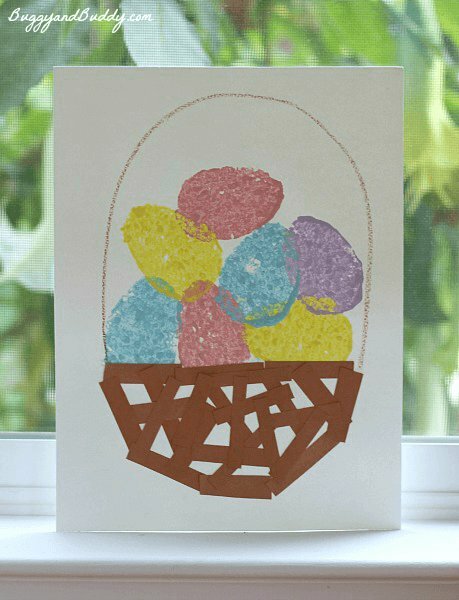 Here’s an easy, relatively low mess painting craft perfect for preschoolers by using sponges for Easter egg painting. See more at Buggy and Buddy. 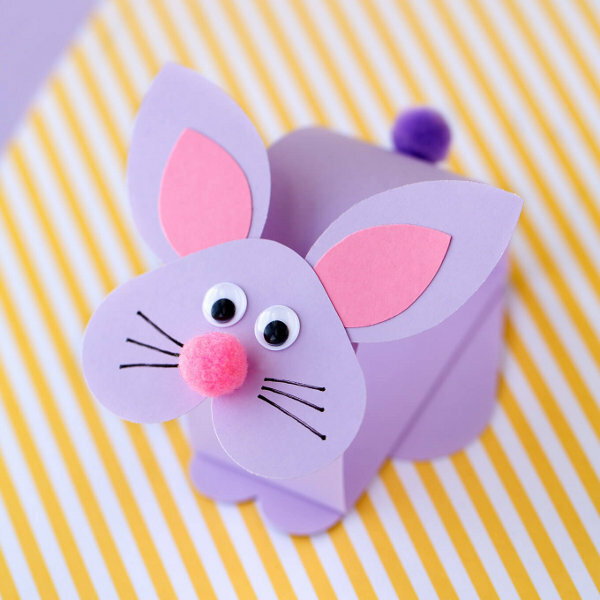 This paper bunny craft by Easy Peasy and Fun is really cute! 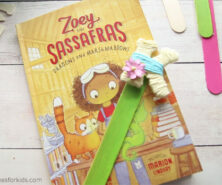 These bobble head Easter bunnies by Fireflies and Mudpies are fun to make! Kids will love playing with these after they make them. 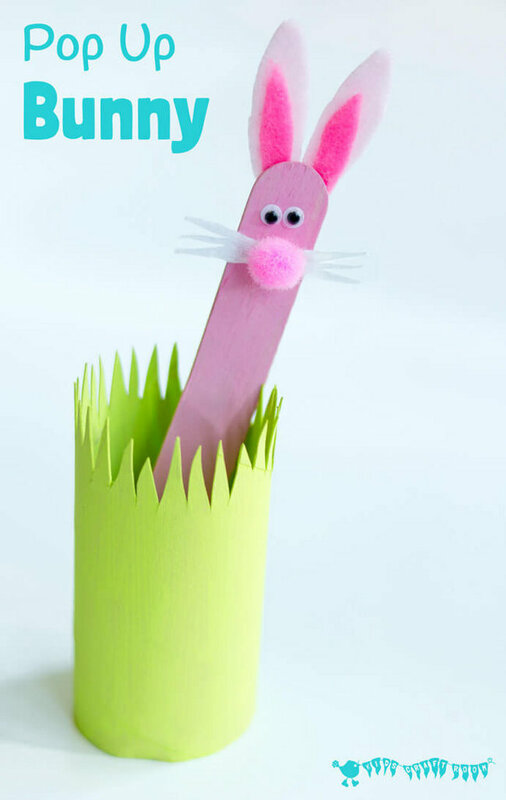 We hope you enjoyed these Easter crafts for preschoolers! Which Easter craft is your favorite? 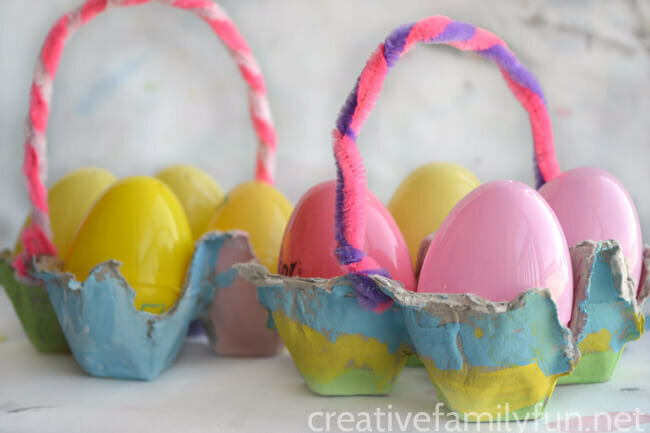 Want more Easter Craft Ideas? 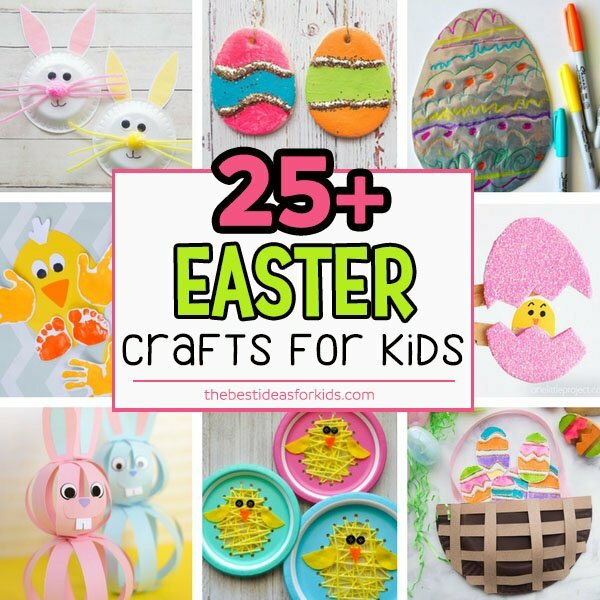 See over 25+ other Easter Craft Ideas for Kids.